India are hot favourites againt Sri Lanka in the 5 match one day series in India starting from 2nd November 2014 in Cuttack. But the tour wont be easy because Sri Lanka are good players of spin. India might have convincingly defeated West Indies in the last one day series. But that does not mean India will have life easy against Sri Lanka in the 5 match One Day Series starting on 2nd November 2014. In Cuttack India will play its first match against Sri Lanka on 2nd November, 2014. Captain Mahendra Singh Dhoni had been rested for the series. Virat Kohli the Vice-captain will lead the side in absence of Dhoni. That will add to pressure in respect of Indian team. Dhoni is a big asset in the later overs. The bigger worry is the absence of fast bowler Mohammad Shami. He has injury and had been ruled out of the series. That will put tremendous pressure on the other bowlers like Bhubaneshwar Kumar and Mohit Sharma. India did extremely well against West Indies due to the success of the spinners including Amit Mishra. But few factors went in India's favour. West Indian cricketers were unhappy with their treatment by the West Indian cricket board. Their dissatisfaction featured in the performances. Secondly failure to play spin the slow turning wickets in India created additonal trouble for West Indies. Sri Lanka is a good batting and the spinners will be seriously tested. Sangakarra and Jayaverdana might have grown old but are probably the best players of spin in present international cricket. They did not do well in the tour match but that may have been due to lack of practice. Tharanga, Dilshan and Mathews are also the players to look out for in the Indian conditions. Sri Lanka is the best fielding side in respect of Asian teams. That will be a plus factor. But again the tournament will not help much for India's preparation for the World Cup in Australia and New Zealand next year. There the wickets will be hard and bouncy unlike Indian wickets. The only good news for India is that Malinga and Herath had not come with the Sri Lankan team. They have made the bowling department weak. The bowling depends on Kulasekara and Perera. The biggest boon for India is the returning into form of Rohit Sharma. With Virat Kohli and Suresh Raina already in brilliant form, the inclusion of Rohit Sharma can make the batting line up very strong. Present Sri Lankan team don’t have the batting firepower of the standard of Jayasuriya and Kaluvitharana. But over the years they have given excellent fight and everyone expect that the matches will have close finish. 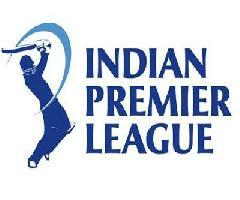 Indian Premier League is very famous sporting even in India and other cricket loving nations. This article contains list of batsmen who have scored most number of centuries in IPL history.. The article speaks about the chances of India defeating South Africa in the T20 World Cup Semi-finals in Bangladesh. India is a better team in a spinning conditions having better spinners and better batsmen..
BCCI had given the option to Dhoni whether he at all wants to play the 4th and 5th Oneday if India requires him.